Notification with the passing of USAF veteran NWA/DL pilot Dr. Jerome A. LeMieux Jr., age 56. Colonel USAF Jerome Anthony LeMieux Jr. began his commercial flying career with Northwest Airlines on 04-30-1991. His obituary notes “Jerry was interred July 8th in the National Veterans Memorial Cemetery in Phoenix, AZ with full military honors. A memorial marker will be placed at Calvary Cemetery, Fond Du Lac, WI”. Family and friends mourn the passing of Dr. Jerome A. LeMieux Jr., 56, who died unexpectedly of natural causes in Phoenix, AZ on July 4th. Beloved son of Jerome A. LeMieux Sr. (Ruth), Fond du Lac, WI and Janet Ann (Lehman) LeMieux, Menasha, WI. Beloved father of Angela LeMieux and Jerome LeMieux III (both Nashua, NH). Beloved brother of Jeffery (Ann) LeMieux, Brunswick, GA, James LeMieux, Ft. Atkinson, WI, Julie LeMieux, Quinnessec, MI, Mark LeMieux of Fond du Lac, WI., sister-in-law, Sonoko LeMieux ,Okinawa Japan, with many nieces, nephews and relatives. He was predeceased by brothers, Tom LeMieux and Martin (Todd) LeMieux. Jerry grew up in North Fond du Lac, WI, and was a 1975 graduate of Sheboygan South HS. 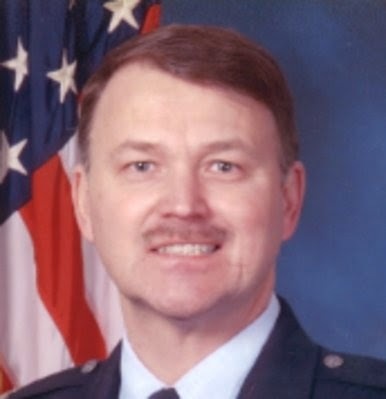 After graduating from the University of Wisconsin-Madison in 1980 with a BS in Electrical Engineering, he was commissioned 2nd Lt. in the United States Air Force, where he underwent pilot training. While on active duty, Jerry earned his engineering MS and PhD from Mississippi State University. He rose to the rank of Colonel and was a senior pilot with over 2500 hours as a combat-ready fighter pilot, instructor pilot and wing commander. After leaving active duty military service, Jerry worked as an airline pilot for Delta Air Lines for over 20 years with more than 10,000 hours of domestic and international operations. He loved to fly. For 10 years he was the Executive Safety Chairman for the Airline Pilots Association in Washington DC, where he was responsible for resolving airline safety issues for airports across the United States. Jerry was a gifted teacher and mentor and served more than 20 years teaching aeronautical, mechanical, and electrical engineering, and advanced mathematics courses at the undergraduate and graduate levels at major universities and aviation schools including; Boston University, University of Maryland, Embry Riddle Aeronautical University and Daniel Webster College. Jerry was a tireless and groundbreaking entrepreneur and most recently was the founder and Executive Director of Unmanned Vehicle University the nation's first commercial university level training institution for unmanned vehicle (drone) operation and maintenance. As a national expert, consultant, and author, "One Bird Strike' & You're Out," he regularly consulted on numerous aerospace issues for the U.S. Federal Aviation Administration, the US Air Force, Army, Navy, NASA, DARPA and all major defense contractors. Jerry was interred July 8th in the National Veterans Memorial Cemetery in Phoenix, AZ with full military honors. A memorial marker will be placed at Calvary Cemetery, Fond Du Lac, WI.